In this paper we present a rigorous and general theoretical model for the illumination point spread function of a confocal microscope that correctly reproduces the optical setup. The model uses vectorial theory and assumes that monochromatic light with a Gaussian intensity distribution (such as from a laser or a single-mode fiber) is focused by a microscope objective with high numerical aperture and passes through stratified media on its way to the sample. This covers the important practical case of illumination through up to three layers, which is the situation most commonly encountered in biological microscopy (immersion oil, glass coverslip, aqueous sample medium). It also accounts for objectives that are corrected for a certain coverslip thickness and refractive index but operated under non-design conditions. Furthermore, illumination with linearly, circularly, or elliptically polarized light is covered by introducing a Babinet–Soleil compensator into the beam path. The model leads to a set of analytical equations that are readily evaluated. Two-dimensional intensity distributions for particular cases of interest are presented and discussed. M. J. Nasse, J. C. Woehl, and S. Huant, “High-resolution mapping of the three-dimensional point spread function in the near-focus region of a confocal microscope,” Appl. Phys. Lett. 90, 031106-1-3 (2007). O. Krichevsky and G. Bonnet, “Fluorescence correlation spectroscopy: the technique and its applications,” Rep. Prog. Phys. 65, 251-297 (2002). S. T. Hess, S. Huang, A. A. Heikal, and W. W. Webb, “Biological and chemical applications of fluorescence correlation spectroscopy: a review,” Biochemistry 41, 697-705 (2002). E. Haustein and P. Schwille, “Ultrasensitive investigations of biological systems by fluorescence correlation spectroscopy,” Methods 29, 153-166 (2003). P. Tamarat, A. Maali, B. Lounis, and M. Orrit, “Ten years of single-molecule spectroscopy,” J. Phys. Chem. A 104, 1-16 (2000). M. Orrit, “Single-molecule spectroscopy: the road ahead,” J. Chem. Phys. 117, 10938-10946 (2002). W. E. Moerner and D. P. Fromm, “Methods of single-molecule fluorescence spectroscopy and microscopy,” Rev. Sci. Instrum. 74, 3597-3619 (2003). F. Kulzer and M. Orrit, “Single-molecule optics,” Annu. Rev. Phys. Chem. 55, 585-611 (2004). M. Minsky, “Microscopy apparatus,” U.S. Patent 3013467, Ser. No. 695107 (application filed 1957; granted December 19, 1961). J. G. White and W. B. Amos, “Confocal microscopy comes of age,” Nature (London) 328, 183-184 (1987). J. B. Pawley, Handbook of Biological Confocal Microscopy, 3rd ed. (Springer, 2006). E. Wolf, “Electromagnetic diffraction in optical systems I. An integral representation of the image field,” Proc. R. Soc. London, Ser. A 253, 349-357 (1959). B. Richards and E. Wolf, “Electromagnetic diffraction in optical systems II. Structure of the image field in an aplanatic system,” Proc. R. Soc. London, Ser. A 253, 358-379 (1959). A. Boivin and E. Wolf, “Electromagnetic field in the neighborhood of the focus of a coherent beam,” Phys. Rev. 138, B1561-B1565 (1965). P. Török, P. Varga, Z. Laczik, and G. R. Booker, “Electromagnetic diffraction of light focused through a planar interface between materials of mismatched refractive indices: an integral representation,” J. Opt. Soc. Am. A 12, 325-332 (1995). 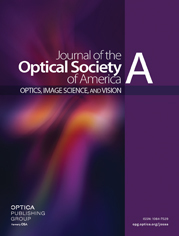 P. Török, P. Varga, Z. Laczik, and G. R. Booker, “Electromagnetic diffraction of light focused through a planar interface between materials of mismatched refractive indices: an integral representation: errata,” J. Opt. Soc. Am. A 12, 1605 (1995). P. Török and P. Varga, “Electromagnetic diffraction of light focused through a stratified medium,” Appl. Opt. 36, 2305-2312 (1997). P. Török, “Propagation of electromagnetic dipole waves through dielectric interfaces,” Opt. Lett. 25, 1463-1465 (2000). O. Haeberlé, M. Ammar, H. Furukawa, K. Tenjimbayashi, and P. Török, “Point spread function of optical microscopes imaging through stratified media,” Opt. Express 11, 2964-2969 (2003). O. Haeberlé, “Focusing of light through a stratified medium: a practical approach for computing microscope point spread functions Part II: confocal and multiphoton microscopy,” Opt. Commun. 235, 1-10 (2004). A. Yoshida and T. Asakura, “Electromagnetic field near the focus of Gaussian beams,” Optik (Stuttgart) 41, 281-292 (1974). P. Varga and P. Török, “The Gaussian wave solution of Maxwell's equations and the validity of scalar wave approximation,” Opt. Commun. 152, 108-118 (1998). P. Török, P. Higdon, and T. Wilson, “On the general properties of polarised light conventional and confocal microscopes,” Opt. Commun. 148, 300-315 (1998). There is a misprint in this reference: after Eq. (32) it should read β=k2|h1−h2|cosθ2. Fig. 1 Illumination path of a confocal microscope (not to scale). BS ill : Babinet–Soleil compensator; OBJ, infinity-corrected microscope objective; P, probe (same coordinates in all three cases). The origin of the x y z coordinate system (y normal to the paper plane) is placed in the corrected Gaussian focus. (a) Coverslip thickness and RIs at the illumination wavelength match the design values ( t = t * ; n 1 = n 1 * ; n 2 = n 2 * ). The geometrical focus is identical to the corrected Gaussian focus situated at the interface between coverslip and sample medium. (b) The distance between coverslip and objective is reduced by a. Assuming n 3 < n 2 * , the optical rays (solid lines) now cross inside the sample medium at positive z with respect to the corrected Gaussian focus (dashed lines). (c) As in (a), the objective is at the same distance from the coverslip–sample-medium interface, which is the location of the corrected Gaussian focus. However, coverslip thickness and RIs now show a mismatch relative to the design case ( t ≠ t * ; n 1 ≠ n 1 * ; n 2 ≠ n 2 * ), which—as depicted here—can shift the actual focus inside the sample space. Fig. 2 Illumination PSF in the x z plane ( y = 0 ; units in μ m ) for a 40 × NA = 0.95 dry objective ( n 1 = n 1 * = 1 ) illuminated with circularly polarized light ( ϕ BS , ill = π ∕ 4 , δ ill = π ∕ 2 ) of wavelength λ ill = 488 nm and with a constant illumination intensity profile ( β G = 0 ) . (a),(b) (Media 1) First and last frame of a video sequence showing the change of PSF as the objective moves from a = 0 (focused on coverslip–sample-medium interface) to a = 20 μ m toward the coverslip with t = t * = 170 μ m , n 2 = n 2 * = 1.515 , and n 3 = 1.33 (water). (c) Same as (b), but for a coverslip thickness of only t = 150 μ m . The semi-transparent overlay in image (a) indicates the coverslip medium where the illumination PSF will have a different shape (not rendered). Each displayed image is individually scaled between minimum and maximum intensities according to the logarithmic color bar shown on the right, while the color scaling is fixed throughout the video sequence. The Strehl ratios for images (a)–(c), defined as the observed peak intensity over the maximum intensity in the corresponding design case, are 1, 0.20, and 0.86, respectively. Fig. 3 Illumination PSF in the x z plane ( y = 0 ; units in μ m ) for a 40 × NA = 1.3 oil immersion objective [images (a) and (b); n 1 = n 1 * = 1.518 ] and a 40 × NA = 0.95 dry objective [image (c); n 1 = n 1 * = 1 ] illuminated with circularly polarized light ( ϕ BS , ill = π ∕ 4 , δ ill = π ∕ 2 ) of wavelength λ ill = 488 nm and with a constant illumination intensity profile ( β G = 0 ) for a = 0 . The sample medium has a RI of n 3 = 1.33 (water). (a) (Media 2) First frame of a video sequence showing the change of PSF as the coverslip RI changes from the design case n 2 = n 2 * = 1.515 to n 2 = 1.572 with t = t * = 170 μ m . (b),(c) Design case for the NA = 1.3 oil immersion objective and NA = 0.95 dry objective, respectively, but with a small RI mismatch of the cover glass ( n 2 = 1.53 instead of n 2 * = 1.515 ). The semi-transparent overlays indicate the coverslip medium where the illumination PSF will have a different shape (not rendered). Each image is individually scaled between minimum and maximum intensities according to the logarithmic colorbar shown on the right. The Strehl ratios for images (a)–(c) are 1, 0.55, and 0.94, respectively. The design case of the latter is shown in Fig. 2a. Fig. 4 (Media 3) Single-frame excerpts from a video sequence showing the impact of the filling parameter β G on the illumination PSF ( x z plane, y = 0 ; units are in μ m ) of a 40 × NA = 0.95 dry objective ( n 1 = n 1 * = 1 ) illuminated with circularly polarized light ( ϕ BS , ill = π ∕ 4 , δ ill = π ∕ 2 ) of wavelength λ ill = 488 nm . Coverslip thickness and RI match the design values ( t = t * = 170 μ m , n 2 = n 2 * = 1.515 ). The sample medium has a RI of n 3 = 1.33 (water). In all cases, the microscope objective is moved 10 μ m toward the coverslip ( a = 10 μ m ) . (a) β G = 0 (constant illumination intensity profile; first frame in video sequence). (b) β G = 1 . (c) β G = 2 . (d) β G = 5 (last frame in video sequence). Each displayed image is individually scaled between minimum and maximum intensities according to the logarithmic color bar shown in Fig. 2, while the color scaling is fixed throughout the video sequence. The Strehl ratios for images (a)–(d) are 0.33, 0.18, 0.048, and 0.0016, respectively. The design case for all images is shown in Fig. 2a. Fig. 5 Illumination PSF sections (units in μ m ) for a 40 × NA = 1.3 oil immersion objective ( n 1 = n 1 * = 1.518 ) illuminated with light polarized along the x direction ( ϕ BS , ill = π ∕ 4 , δ ill = 0 ) of wavelength λ ill = 488 nm and with a constant illumination intensity profile ( β G = 0 ) . Coverslip thickness and RI match the design values ( t = t * = 170 μ m , n 2 = n 2 * = 1.515 ). The sample medium has a RI of n 3 = 1.33 (water). (a),(b) Comparison between x z ( y = 0 ) and y z ( x = 0 ) sections for (a) the design case ( a = 0 ) and (b) a displacement of a = 10 μ m . Within each image (a) and (b) the same logarithmic color scaling is used; see color bar in Fig. 2. (c),(d) x y sections of the PSFs shown in (a) and (b), respectively, taken at 3.24 μ m from the actual foci as indicated by the dashed-dotted horizontal line in (a) and (b). Here a linear color scale is applied. Insets: close-ups of the image centers. The semi-transparent overlay in image (a) indicates the coverslip medium where the illumination PSF will have a different shape (not rendered). The Strehl ratios for images (a) and (b) are 1 and 0.36, respectively. (1) e ill ( r s , ϕ s , z s ) = i k 1 2 π ∫ 0 α ∫ 0 2 π E 3 exp [ i k 0 ( Ψ − Ψ * ) ] exp [ i k 1 r s sin θ 1 cos ( ϕ − ϕ s ) ] exp ( i k 3 z s cos θ 3 ) sin θ 1 d ϕ d θ 1 . (2) E 1 = A ill ( θ 1 * ) P ̱ ( 1 ) L ̱ ( 1 ) R ̱ B S ̱ ill E 0 = A ill ( θ 1 * ) R ̱ B S ̱ ill E 0 . (5) R ̱ = ( cos ϕ sin ϕ 0 − sin ϕ cos ϕ 0 0 0 1 ) , B S ̱ ill = ( A ill + B ill 0 B ill A ill − 0 0 0 1 ) . (7) B ill = i sin ( 2 ϕ BS , ill ) sin ( δ ill ∕ 2 ) . (7) I ̱ ill = ( T ∥ ill 0 0 0 T ⊥ ill 0 0 0 T ∥ ill ) . (15) E 3 , z = A ill ( θ 1 * ) − T ∥ ill sin θ 3 ( A ill + cos ϕ + B ill sin ϕ ) . (22) I ill ( 2 ) = ∫ 0 α A ill ( θ 1 * ) J 2 ( k 1 r s sin θ 1 ) ( T ⊥ ill − T ∥ ill cos θ 3 ) exp [ i k 0 ( Ψ − Ψ * ) ] exp ( i k 3 z s cos θ 3 ) sin θ 1 d θ 1 .